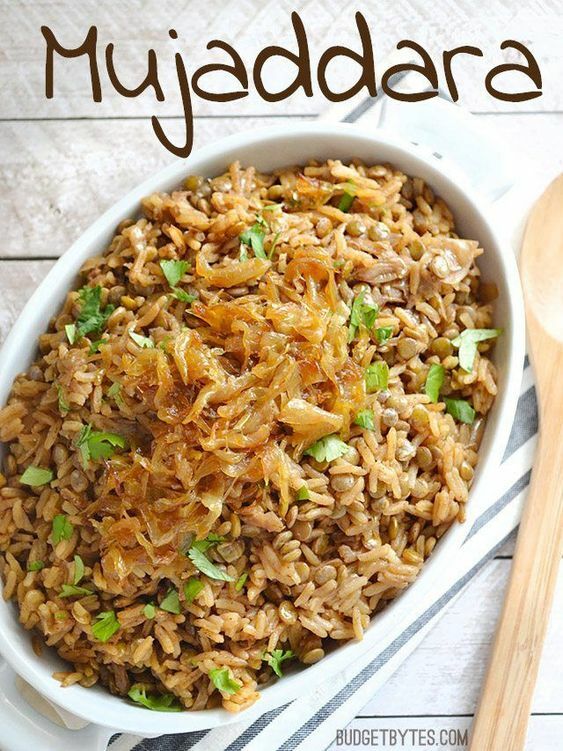 Mujaddara is a simple but flavorful rice and lentil pilaf, topped with sweet caramelized onions. Serve alone or as the base of just about any meal. Add the cumin, allspice, and cloves to the pot with the remaining onions. Sauté for about one minute to lightly toast the spices. Add the vegetable broth and stir the pot well to dissolve any browned bits stuck to the bottom of the pot. Add the rice and lentils to the pot. Cover the pot with a lid and turn the heat up to high. Allow the contents to come up to a boil. As soon as it reaches a full boil, turn the heat down to low and let it simmer for 30 minutes. After 30 minutes, turn the heat off and let it rest for 10 minutes without removing the lid. 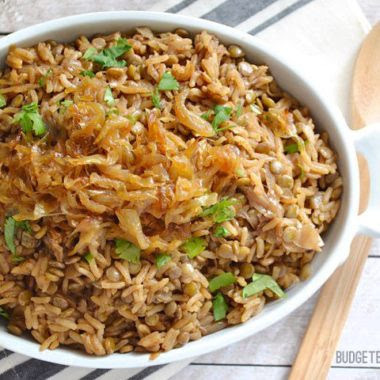 Finally, remove the lid, fluff with a spoon or fork, then top with the reserved caramelized onions. Serve warm. If your vegetable broth is low sodium or sodium free, you'll likely need to add some salt when cooking the rice and lentils. Taste the broth before setting the pot to boil and add salt as needed.